Find Out When Someone Mentions You Without a Backlink! 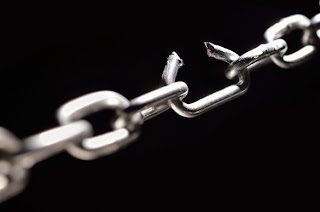 Legitimate backlink building is one of the most important parts of building the reputation of a website or online business, Getting previous little backlinks from other sites is hard enough, and it really shows a great gesture when someone mentions you and links to you in their content. But often over the course of your name or brand's online lifespan, you will come across situations where your name or brand was mentioned, but you weren't linked. This is because some people just might not be willing to give out a link as easily, or they might just have overlooked it. In that case, you have to contact them personally and ask them for the favour. Today, we'll show you how you can find out when someone mentions you, but doesn't link to you. After all, you never know what opportunities you might have been missing out on! Even a couple of 'missed' backlinks could save you hours of work on building new ones, and/or help you with your website's rank and authority. Now, I'd first like to introduce you to some Google Search tricks that some of you might already know, but most won't. In Google Search, you can use use some advanced search operators like AND, OR, site:, inurl:, intext:, and so on. The AND operator finds sites that have keywords written on both side of the AND operator. The OR operator finds sites that have either the phrases on the left of the operator, or the right of it, or both. This is handy, for example, if you want to search for both cars and bikes on the same site (Cars AND bikes), or if you want to search for either cars, or bikes, or both (Cars OR bikes). Now, the site: operator will search for keywords only within the domain you specify after the site: part. For example, if I want to search for only windows 8 on Microsoft's website, I can type this in Google "site:microsoft.com Windows 8" (without the quotes), where Windows 8 is my keyword. Now, if you add a minus sign behind any operator or keyword, Google will give you all results that do not contain the result generated by the keyword or operator you put a minus sign to. For example, let's say I want to search for sites that have my name, excluding this site where I regularly contribute to. So the search query for it would be "-site:mybloggertricks.com Qasim Zaib". It will exclude all results from mybloggertricks.com. Now, coming to the task at hand, we want to find out whenever someone mentions your name, your brand name, or a keyword specific to your site. All you have to do is, simply build a query, and set a Google Alert for it. Start by typing a query. Exclude all sites you contribute actively to, and enter the keywords you want to watch out for (maybe your name or URL). It would look something like this. Now go to Google Alerts, and enter your query there. Keep all the settings like you see in the image below. Now, whenever new content that matches this query is found by Google, you will be emailed. In other words, I'll get an alert whenever someone mentions my name. As soon as Google finds that new mention, it will be listed in the query. And any changes in the query results trigger an email alert. You can then check up on each new mention to see if someone has linked to you or not. Thanks Qasim, its great trick. Can we add only URL name i.e - blogsdaddy.com in search query box? will it work?